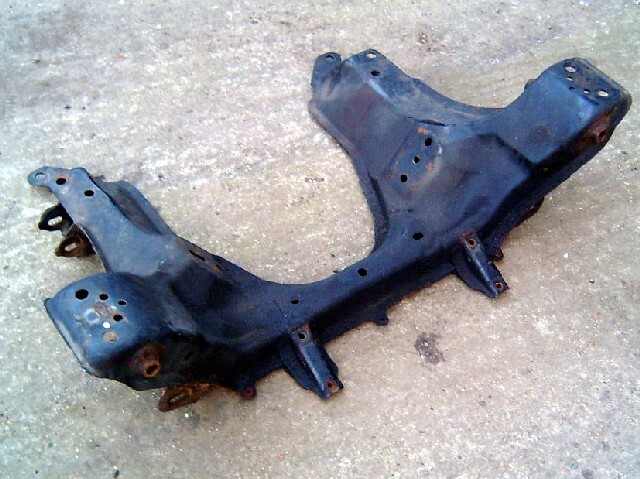 Used front subframe, Mazda MX5 & Eunos Roadster mk1. UM00062. Used front subframe, Mazda MX5 & Eunos Roadster mk1. Good, used example, may have some surface rust but in solid condition. New price from Mazda is around £300 +VAT.